CHARLOTTESVILLE, Va. - The national champion Virginia Cavaliers have lost another piece of the team. Only hours after his teammate, Ty Jerome, announced his departure, De'Andre Hunter took to Instagram to let the world know he's leaving college basketball. 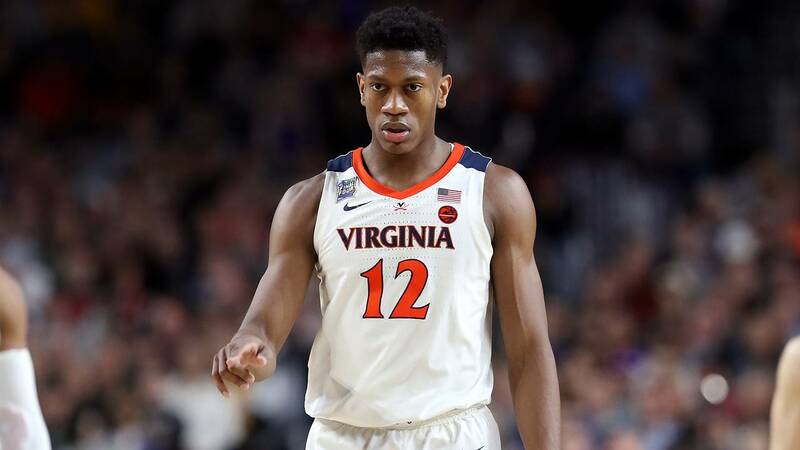 The redshirt sophomore guard announced on Instagram Monday that he is leaving the University of Virginia to declare for the 2019 NBA Draft and sign with an agent. Hunter averaged 15.2 points per game for the Cavaliers this season.